The Primary Montessori Day School is a is a private, non-sectarian, co-educational school for children age two through nine years old dedicated to giving your child the social, academic, and leadership skills they need to reach their potential. You CAN give your child the best, balanced education. 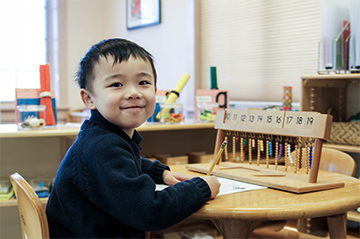 The Montessori method provides the opportunity for your child to develop independence, confidence, creativity, self-motivation, responsibility and academic competency. 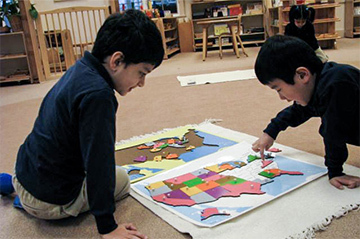 Montessori meet the needs of all children, while affording the freedom necessary to preserve each child’s uniqueness. want to learn, grow, and succeed. 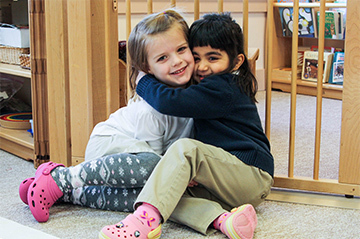 The Primary Montessori Day School offers both full-day and half-day Montessori programs and two calendar options so parents can choose a schedule convenient for their family. Each program is designed to encourage your child’s love for learning, which helps them avoid many struggles that a traditional education environment present. All of our teachers have AMS, AMI, or MACTE approved post graduate certification in the Montessori method. so we invest all tuition back into the school. 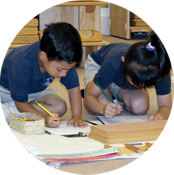 We deliver the original, proven Montessori method. Our building was designed specifically for Montessori education. STEPHEN l. | WASHINGTON D.C. This letter delivers the greatest and deepest gratitude for the happy, beautiful memories that we have had at Primary Montessori and everything wonderfully special within its walls. You were our very first school and it couldn’t have been more perfect for our family. This is not only the place where our children learned their fundamentals of phonics, math, science and history, but more importantly where they learned to love to learn — a skill they will carry with them for the rest of their lives. There truly are no words worthy enough to express the gratitude I feel in my heart for all of you. The kindness, care and love you bring to school every day is overwhelming. 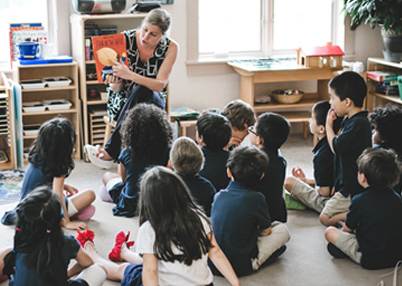 It is through this collective, positive energy that makes Primary Montessori feel so amazing as soon as you walk in the door. I am in awe of ALL of you patience, your fun spirit, and your peaceful guidance that you lead with every day. The love and kindness you have shown our family is forever imprinted in our hearts and souls. We may never remember everything you said, but we will always remember how special you made us feel. 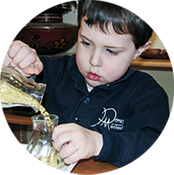 Schedule a tour and see the Authentic Montessori Experience. Call or use the online form to schedule a tour so you can experience Primary Montessori’s curriculum and environment for yourself.  Submit a completed application with the application fee and get a meeting with the Head of the school who can answer any questions you have. You’ll get written reports and meet with your child’s teacher. We’ll keep samples of their work and even send you photos of your child working in the classroom, so you can see them learn & grow! Every parent wants to give their child the best, balanced education. 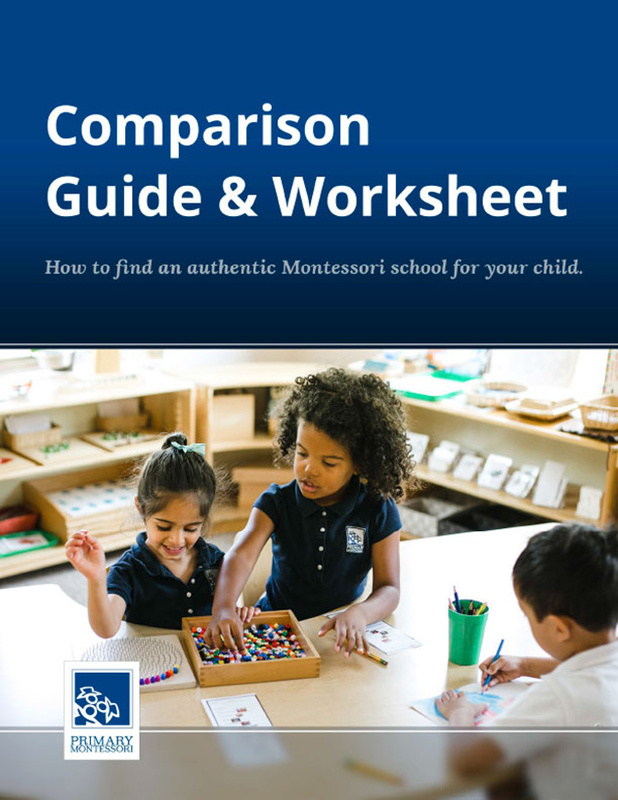 Download our FREE Guide & Worksheet to help you compare schools. We’ll give you tips for what to look for before, during and after touring a school so you can find the best fit for your child. Conveniently located close to I-270 in Rockville, we serve families throughout Montgomery County, including Bethesda, Gaithersburg, and Germantown.